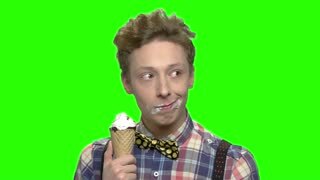 Cute teenage boy licking ice cream. Slow motion. Green hromakey background for keying. 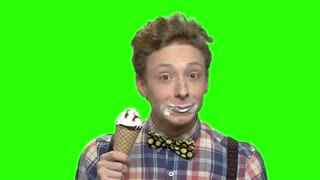 Close up portrait of teenage boy enjoying ice cream. Green screen hromakey background for keying. 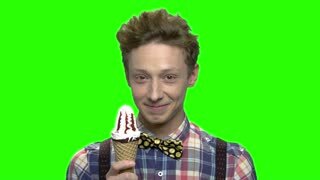 Portrait of young teen boy with ice cream. Green screen hromakey background for keying. Young teenage boy eating ice cream. Green screen hromakey background for keying. Cute handsome teenage caucasian boy portrait. Green screen hromakey background for keying. Teen boy eating ice-cream sloppily and looking at the left. Slow motion. Green hromakey background for keying. Portrait of cute teen boy eating ice cream. Slow motion. Green hromakey background for keying. Sloppy teenage boy with ice cream. Slow motion. Green hromakey background for keying. Teenage boy eating ice-cream sloppily with dirty face. Slow motion. Green hromakey background for keying.